A group of thespians and theater professionals are demanding that the government cancel the appointment of a critic as artistic director of the state-run National Theater Company of Korea. In a statement released Thursday, members of the National Theater Association of Korea claimed that the post should have been given to someone with hands-on experience in theater, not to an outsider with an academic or administrative background. 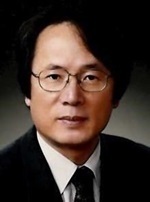 A long-time critic and professor of theater, Kim Yun-cheol took office as artistic director of the state-run theater early this month, succeeding Sohn Jin-chaek. “Without any explanation or prior discussion, the Ministry of Culture, Tourism and Sports appointed a critic, not someone who has been working in the field, to be the artistic director. (…) We oppose the appointment and see a grave error in the way it was decided,” the statement reads. Earlier, a different group of theater professionals had issued a similar protesting statement soon after Kim’s appointment. Kim, 65, stepped down as head of the Korean National Archives of Arts, a stint he took up in July last year, to work at the national theater. At a press conference after taking office, he vowed to solicit opinions from the field in running the national theater.